This article, NSA can resume bulk collection of Americans’ phone records, says court, originally appeared on ZDNet.com. 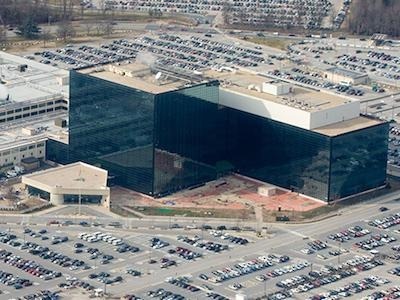 The court, which oversees the government’s surveillance requests, ruled late Monday that the program was legally sound in the wake of the passing of the Freedom Act, ratified a day after key provisions in the Patriot Act expired on June 1. In the 26-page filing, the court summed up simply: “The short answer is yes,” to the question whether or not the new law would allow the program to continue. Almost two years following the first leak, an appeals court in May ruled the bulk records collection program was illegal, serving a blow to the program’s legitimacy. However, the presiding judge Michael Mosmon said in the Monday filing that the lower court’s ruling was “not binding” and “respectfully disagrees” with the court’s findings. It’s not, however, clear if or when the NSA will begin collecting data again. However, the Obama administration applied within hours of the Freedom Act’s passing to resume the program. This entry was posted in Uncategorized and tagged ***Corrupt Government Strikes Again!! *** NSA Can Resume Bulk Collection of Americans' Phone Records- Says Court. Bookmark the permalink.